Have you ever had one of those moments where everything just comes into focus? Watching the sun rise over the mountains Thursday morning was an enlightening experience. It began as a rich palette of color radiating out of a jagged sea of black… a scene that even the most talented artist would be hard-pressed to capture, but it was fairly one dimensional. As the sun continued to rise, my perspective began to change. The once one dimensional horizon transformed into an incredible 3 dimensional landscape with infinite layers of complexity. It was at that moment that three days of fascinating sessions at the ICMI Demo came into focus. The contact center can easily be compared to the natural shift in perception I witnessed in the Las Vegas skyline that morning. Think about how your stakeholders and your peers view the contact center. At a very high level, outsiders looking in tend to view the contact center as a one dimensional cost of doing business. On the other hand, those in the trenches see the contact center for what it really is – a living breathing entity with infinite complexity, tribal knowledge and a customer obsessed culture. So how do we ensure the sun rises over the contact center each and every day? Here are three actionable insights from ICMI Demo you can use to change the perspective of those that see the contact center as a one dimensional cost of doing business. 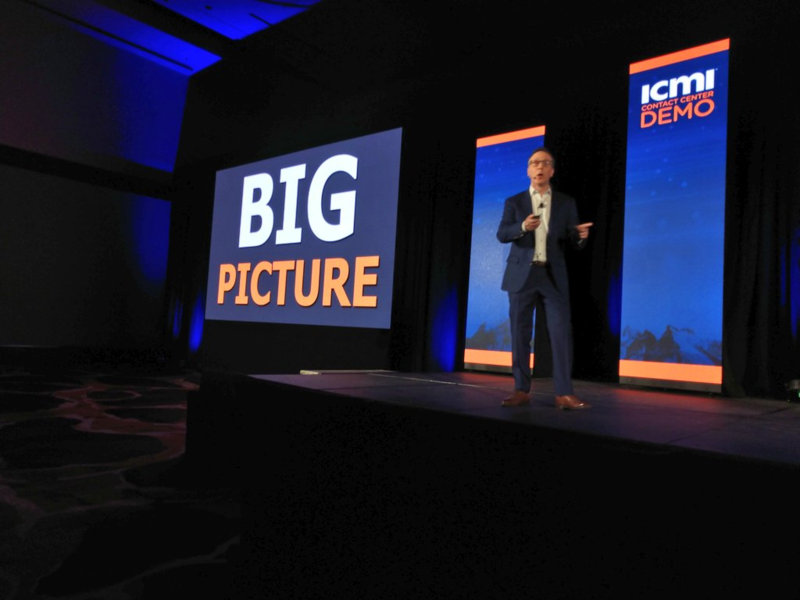 Unprecedented Change Happens when you Empower the Frontline – Many of the speakers at ICMI Demo focused on the importance of actively managing agent job satisfaction, putting humans ahead of technology and empowering the frontline through training and personal development. 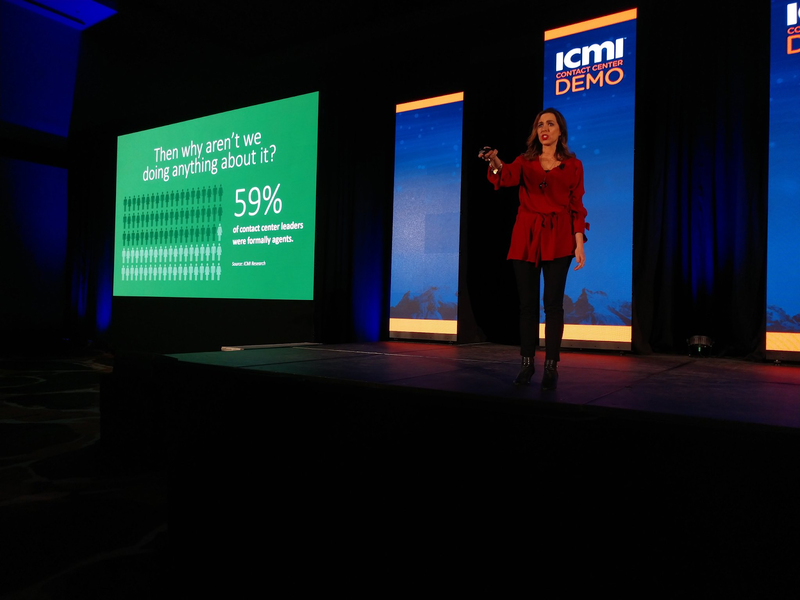 Fancy Mills shared an intriguing statistic with us at ICMI demo – ICMI research shows that 59% of contact center leaders were formerly agents. Why then is it so difficult for leaders to accept the contact center as a value center? Could this be learned behavior? That’s very likely the case. Now imagine what would happen if we empowered the frontline and included value creation strategies in training from the moment they step foot in the door! Those agents that eventually settle into leadership roles will have a foundation built upon the contact center’s economic value rather than just its cost. “Voice Still Matters in a Digital Future” – What I’m about to tell you is not exactly what this quote from Art Scholler was meant to communicate, however, since we’re talking about perspective in this article, I think it’s important to shift gears a bit. Voice can no longer be viewed as just a channel for the contact center because it’s rapidly becoming the next user interface. 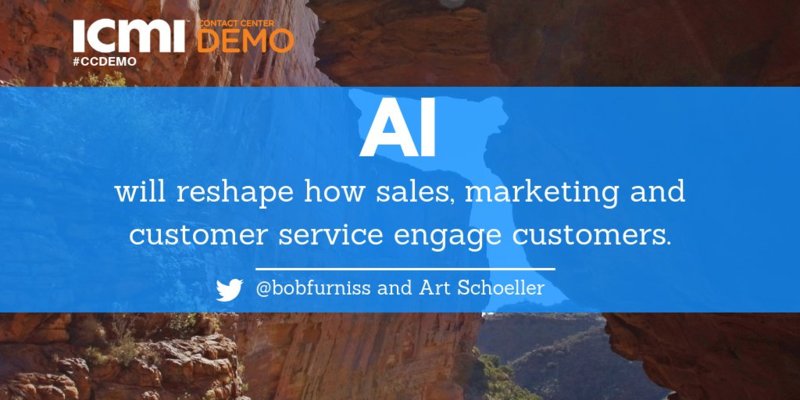 I’m not just talking about sophisticated speech analytics and IVR functionality – I’m talking about AI, machine learning and intelligent bots. As more and more voice activated assistants come online, consumers are turning to them for everything – from waking them up in the morning to scheduling service calls with their cable provider to paying their auto insurance bill to checking their bank balance. The problem with this megatrend is the disconnect between the voice activated personal assistant and the organization that its skill is created to represent. Integrating the contact center into the core of these skills would create a seamless and truly omni-channel customer experience. One that your customers will want to use – even millennials who tend to view the voice channel as the path of most resistance. 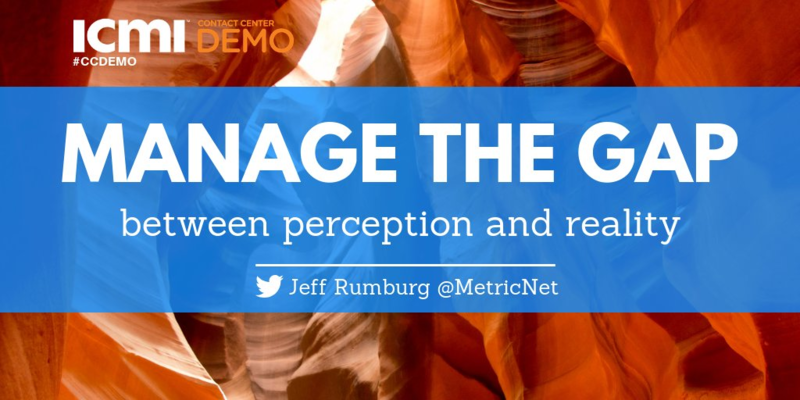 I hope one or more of these insights from ICMI Demo resonated with you and helps you manage the gap between perception and reality in your contact center. There were so many more notable moments at ICMI Demo. If you’re interested in seeing more highlights, check out the Twitter feed here. If you were unable to attend this year, I would strongly encourage you to attend next year! This World-Class event brings together the industry’s best and brightest speakers and professionals from around the globe. 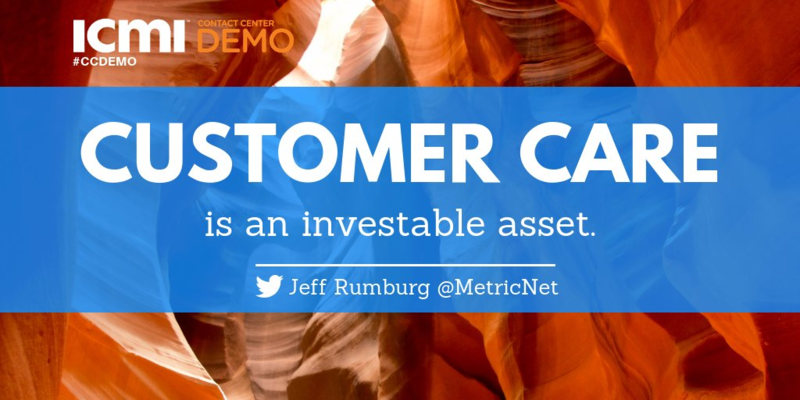 Finally, if you take anything away from this article, let it be this quote from Jeff Rumburg, MetricNet’s Managing Partner – “Customer Care is an investable asset”.